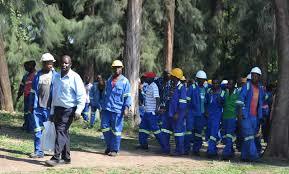 CHIREDZI – Tongaat Hullet has given its 21 000 strong workforce a 15% hardship allowance across the board to cushion them against the economic difficulties that the country is currently going through. Efforts to get a comment from Tongaat Hullett Corporate Affairs and Communications executive Adelaide Chikunguru were fruitless as she is said to be out of the country. However, Sugar Production and Milling Workers Union of Zimbabwe (SPMWUZ) General Secretary Adonia Mutero confirmed the development and said the increment is with effect from this February. He said the gesture by the company is welcome but urged Tongaat Hullet to consult its workers in future when it has something to offer them. Tongaat offered the allowance without engaging the workers and Mutero said the company could have made a better offer because of skyrocketing prices of basic commodities. “We appreciate the gesture by the employer because they empathised with the workers. However, it was our thinking that they should treat us as social partners; they should have consulted central workers committee although it was an offer outside salary negotiations. It is a welcome move but the quantum is not sufficient as it cannot cushion workers from the current situation. It is no longer the time to speak about a percentage but a figure,” said Mutero. This is the second time for the employees to get an increment from their employer within months as they were given a 4,8 percent at the end of last year.